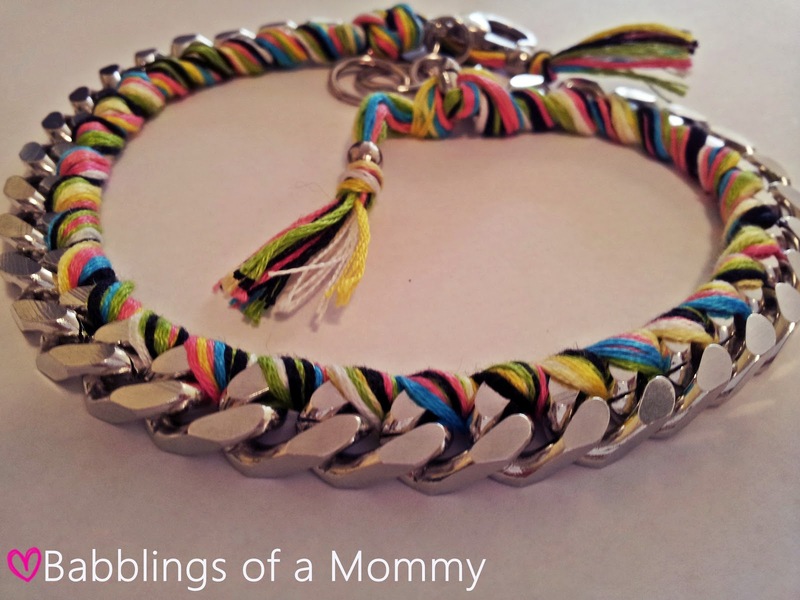 Babblings of a Mommy: You're Pretty Awesome. You Deserve A Gift!--CLOSED. You're Pretty Awesome. You Deserve A Gift!--CLOSED. I've had such great time reading all your comments this week. You continue to bless me with your feedback and encouragement and I just wanted to say that I'm incredibly grateful for each and every one of you. So as a little thank you to all my amazing followers I'm giving away this Holbrooke Miami Vice bracelet!! This chunky silver plated chain bracelet has been intricately woven with a batch of colorful embroidery threads for an easy, fun look. It attaches with a lobster clasp and can easily be readjusted for size. 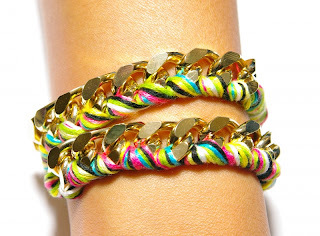 This bracelet looks trendy on its own, or it can be stacked and mixed and matched with other similar bracelets for a unique ensemble. It's inspired by bright neons lights of south beach, hence the name "Miami Vice". It's designed and handcrafted in NYC by Holbrooke who creates luxury products that strikes a balance between edgy and classic. The retail value is $100. Remember each one counts as a different entry so be sure to enter them separately. You may tweet once a day if you'd like, but be sure to leave comment on post about your re-tweets. I do check and verify entries. Giveaway ends May 3rd . A winner will be selected by random.org and will be notified via email. UPDATE: Congratulations to jennkeeton@yahoo.com, you're the winner!! I'll be contacting you shortly! Love love love it! I love the bracelet! I want to win! I Love it! Love that bracelet-woulld love to own it! I would love to win this, it's colors and texture look fabolous. I love the bracelet! I subscribe to your feed. vikkivaughn@msn.com Thanks! I love this braclet !!! Love it! I would wear it everywhere! That is adorable! I would love to win. 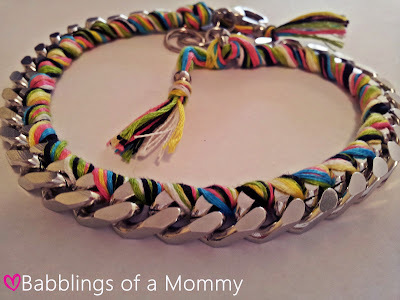 I love the bracelet and it would be fabulous to win! This is beautiful! I would love to win! last day to enter - good luck everyone!